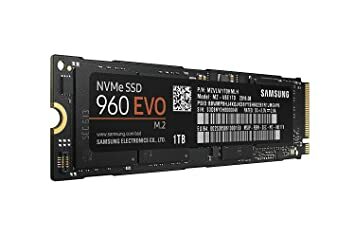 Would my motherboard support SSD PCIe M.2? Even with a m.2 pci-e adapter card it wouldn't. If you had a M.2 to SATA Enclosure adapter it would, but at that point it makes the m.2 totally useless because you are then restricted to SATA 3 speeds and you at spending like 30-50 dollars for a M.2 to SATA enclosure for nothing when you could have just got a SATA SSD drive. heres LINK for example of m.2 to Sata enclosure. Not worth buying though, may as well just get a regular SATA drive instead of wasting money on an enclosure drive.... unless you do plan to get a new motherboard then u could just swap it into it eventually. I'm not completely sure, but i think m.2 wasn't supported until 6th gen intel cpus. Also m.2 will work in windows 7, but is a bit tricky, you have to install drivers from what i've read and could make installing it a challenge but i've never tried since the only m.2 board i have is a ryzen board which i don't use m.2 with. Just get the SATA version of the Evo 860. Costs way less than the m.2 and will work on your 3rd gen board. one thing i'll add. I have an m.2 western digital 250gb drive. I use it currently in my 4700k pc which is the pc i use for gaming. So to be able to use it, I bought a M.2 to SSD enclosure and use it currently just as a SATA 3 drive, works perfectly fine with my 4th gen intel cpu. Wouldn't really recommend wasting money on that unless you do plan on getting a new motherboard, then u could actually use it later on. I'll repeat this though, there is zero benefit to getting an m.2 SSD if your using it the way i am with an m.2 to sata enclosure, its simply SATA 3 speeds with no M.2 speed benefits. Reason I know a PCI-E M.2 adapter card won't work with an M.2 SSD in my 4770k motherboard is because i tried it. I even tried it in a 2nd/3rd gen motherboard, and also in a amd bulldozer motherboard. M.2 speeds are a bit deceptive. They look good on paper and synthetic benchmarks. But in real world use, they are only a couple seconds faster than a regular SATA SSD in loading games. You can get a pci express adapter and then mod your bios if you want to boot from it. I have followed many of his guides on updating the Intel RAID rom before, he knows what he is talking about. Never modded one for NVME though, but it should work fine. @Hydrolex: Thank you so much for share the information. But OP, i wouldn't do it unless you have an external tool to reflash the bios. Because any mistake will brick your board and the only way back would be to use an external tool, attach it to the bios chip and reflash it that way. You weren't even sure if M.2 would work with your board, I wouldn't go into complicated multistep bios modifications unless you have certain ways to reflash the bios in chance of failure.